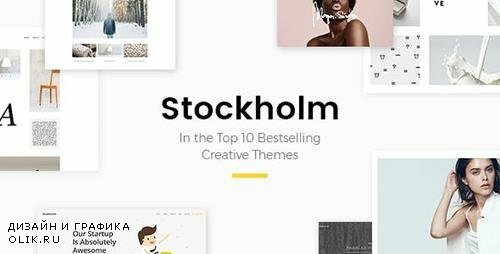 Welcome to Stockholm, a genuinely multi-concept creative theme. There is a good reason Stockholm grew to become one of the multipurpose bestsellers. And what exactly do we mean when we say genuinely multi-concept? Well, that’s easy. Stockholm lets you easily create a stunning modern website for your restaurant, hotel, shop, your business, law firm, a wedding, as well as a fully responsive blog. The list doesn’t end there. Want to create a website dedicated to architecture, beauty, healthy lifestyle, interior design, photography, a furniture shop , a personal blog, a fashion blog, or your own parallax portfolio, a one page site, a mobile app landing page or gallery? You can do all this with Stockholm, and it’s super easy. Who knew one theme could get you all this?